God Wants To Save You! ​The question is: Do you believe that God loves you no matter what you have done or who you are? This is a Must Read message designed just for you. Many of us do not believe God loves us and spend our lives running from God in fear of judgment. For years we reject God or even outright deny Gods very existence and live our lives in various levels of sin. We trudge through life looking for the next thing that will cover up our sense of guilt, shame and condemnation. All the while envisioning God as an angry judge with a stern look on His face just waiting to punish our every mistake. I had thoughts like these myself until I actually read the Bible. I discovered that I had been deceived into not trusting God, mans only real hope. I had a false picture of Gods nature. The only thing that can set us free from a lie is the truth revealed and believed. YOU MUST READ this one short page if you are seeking God for the first time or even if you have been walking with Him for years and are not experiencing the true freedom Christ offers. Read on and learn the truth for yourself. The truth is God loves the unbeliever just as much as He loves a person who has believed and trusted in Him for decades. A believer is no better than a non-believer in Gods eyes, they are just better off because they have decided to trust God again. Gods true desire is that none be lost (2 Peter 3:9 and 1 Tim 2:4) including you. You are deeply loved and important to God. Everything that needs to be done on Gods end for your salvation and total forgiveness has already been finished. Now God is hoping and waiting patiently for your return, not to punish you but to save you and bless you greatly. I can guarantee you that this is true because it comes from the very mouth of Jesus in "The Prodigal Son" story. In Luke 15:11-24 Jesus Himself reveals the Fathers unconditional love for any person who has rejected God and lived in sin. In this famous parable (a simple story used to illustrate a moral or spiritual lesson) Jesus describes a son (representing any sinner) who rejects his Father (representing God) and goes off to live a sinful life apart from God. Before we review the parable itself, it is important to understand the situation where Jesus finds himself in Luke 15:1-2 when he speaks these words. The verse is listed first in italics and then my commentary. In Luke 15:1 we see that the sinners were attracted to Jesus, obviously by His compassion and love for them. These same people would not even approach the religious leaders of the time. Maybe you have felt the same about religious people who may seem judgmental and harsh towards you, but you can come close to Jesus without fear of judgment. ​2 Both the Pharisees and the scribes (religious leaders) began to grumble, saying, “This man receives sinners and eats with them. In Luke 15:2 we see that the religious leaders of the time were upset that Jesus associated with obvious sinners and reasoned that God would never accept people who were so blatantly guilty, deserving punishment in their eyes. The truth is that religious leaders were sinners then and today, they simply keep their sins hidden better. In Gods eyes they are not better than the obvious sinner. The truth is every man needs salvation. What can be clearly seen already is that Jesus sought out sinners ("receives sinners and eats with them"). Sinners just like you and I, bringing them a message of Good News directly from God the Father. The Good News is: (“For God so loved the world, that he gave his only Son, that whoever believes in him should not perish but have eternal life. 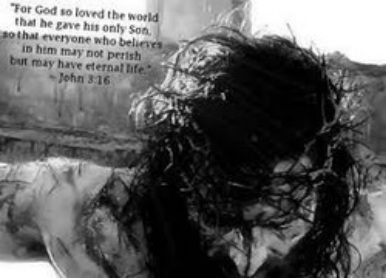 John 3:16). Jesus was telling those who sought Him that God the Fathers plan to freely offer the gift of redemption and salvation to all men was being fulfilled in those very days. A plan that would bring reconciliation and peace between a Holy God and sinful mankind. In Luke 15:3-10 while we have not yet reached "The Prodigal Son" story, in these verses Jesus gives two initial short parables to begin to correct mans false understanding of Gods nature. Parables about searching for that which is lost. One is of a Shepherd with a hundred sheep who search's diligently when just one of them is lost and another of a woman with ten coins (all she has) who loses one and searches diligently to find the lost one. Jesus is saying this is Gods heart for anyone who is lost. He is painting a picture of God as a shepherd who would set all else aside to find just one lost sinner. One of Gods primary concerns, and Jesus mission, is to seek and save the lost. Both of these short parables end with a very similar reaction of a joy when the lost is found and statements to this effect: "Just so, I tell you, there is joy before the angels of God over one sinner who repents (changes their mind from unbelief to belief).” Keeping the facts in mind: 1) the Father has sent Him 2) He is searching for the lost 3) and heaven will rejoice as each lost sinner repents, lets read further. In the following parable Jesus continues to correct mans thoughts and reveals the true heart and nature of God the Father. Place yourself in the parable as the younger son, let Gods love for you into your heart and see the truth of what God has in store for you. Maybe you feel like you have sinned more or less than the younger son and have never trusted Jesus, maybe you once trusted Him and walked away, it does not matter. The parable applies to all sinners. Luke 15:11 And He said, “A man had two sons. 12 “The younger of them said to his father, ‘Father, give me the share of the estate that falls to me.’ So he divided his wealth between them. 13“ And not many days later, the younger son gathered everything together and went on a journey into a distant country, and there he squandered his estate with loose living. The parable started out with the younger son (you) asking for his inheritance from his Father (God) so he could leave and go his own way. It is important to note the level of rejection the son express's towards his Father at this point. Normally the son would be required to wait for his inheritance until his Father had died. By making this request, in essence the son is rejecting his Father and entire family, basically telling his Father he wished he were dead. Even though the request was highly unusual, the Father agrees and the son leaves and goes off to live life on his own terms, forgetting about his Father for a time. 14 “Now when he had spent everything, a severe famine occurred in that country, and he began to be impoverished.15“So he went and hired himself out to one of the citizens of that country, and he sent him into his fields to feed swine.16“And he would have gladly filled his stomach with the pods that the swine were eating, and no one was giving anything to him. In verses 14 - 16 we see that what the son has trusted in (money) has let him down. He ends up living in the ruins of his lifestyle as many of us do. He is wallowing in the mud and feeding pigs and longs for food but has none. 17 “But when he came to his senses, he said, ‘How many of my father’s hired men have more than enough bread, but I am dying here with hunger! 18 ‘I will get up and go to my father, and will say to him, “Father, I have sinned against heaven, and in your sight; 19 I am no longer worthy to be called your son; make me as one of your hired men.”’ 20a “So he got up and came to his father. In verses 17 - 20, the son broke, destitute and at the bottom of the barrel decides to return to his Father (describes our return to God) even though he fears judgment. He realizes and admits to himself that he has sinned but rationalizes that he can offer to be a servant in his Fathers home to appease or bargain with Him and earn his way. He even rehearses what he will say when he sees his Father to soothe his Fathers anticipated anger. Unbeknownst to the son the Father who had been rejected and scorned by the son has been watching and hoping for his return. The son is in for a huge surprise. 20b But while he was still a long way off, his father saw him and felt compassion for him, and ran and embraced him and kissed him. 21 “And the son said to him, ‘Father, I have sinned against heaven and in your sight; I am no longer worthy to be called your son.’ 22 “But the father said to his slaves, ‘Quickly bring out the best robe and put it on him, and put a ring on his hand and sandals on his feet; 23 and bring the fattened calf, kill it, and let us eat and celebrate; 24 for this son of mine was dead and has come to life again; he was lost and has been found.’ And they began to celebrate. Amazing, Jesus tells us that the Father (God) who had been rejected and had his son (You) do exactly the opposite of what He wanted him to do, welcomes home the son with open arms, incredible compassion and a huge celebration. This is how Jesus describes the Fathers love for YOU. Jesus Himself tells you that compassion, love, acceptance, blessing and forgiveness are what are waiting for you. You just need to come home to your Father who is patiently waiting to tell you your debt has been paid and to hand over to you His free gift of forgiveness. Go Here for Verses About God's ﻿Love for YOU. Remember in the beginning we said truth must be revealed and believed to be effectual. Now that you know God is not looking to punish you and really does love you, His desire is that you will turn to Him so He can save you. Right at this moment you need your Fathers FREE gift of forgiveness and righteousness found only in Jesus Christ. Accept Jesus payment on the cross for your sins and believe in His resurrection for your justification, and you will be saved. Please read the verses below and come home prodigal child. Your Heavenly Father is watching and waiting for you with open arms. All Are Sinners Not sure you are a sinner? Take test HERE. "Therefore, my friends, I want you to know that through Jesus the forgiveness of sins is proclaimed to you. Through him everyone who believes is set free from every sin, a justification you were not able to obtain under the law of Moses. Acts 13:38-39 A few verses after this verse Apostle Paul tells us that of those who heard his words there were only two types of people. Those who believed and those who judged themselves unworthy of eternal life. 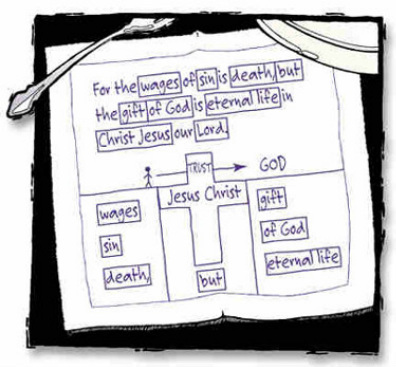 God thinks you are worthy of eternal life, so he came to save you. Choose life and accept God's free gift of salvation. Come Home Prodigal Child by Receiving Christ as Your Savior Now! Your Heavenly Father who cannot lie promised you this. GO HERE for 27 Bible verses that tell us we are saved by grace through faith alone. Salvation is a FREE GIFT God is offering you. Can I Expect My Life to be Perfect Now, Free from Problems? In John 16:33 Jesus said: "These things I have spoken to you, so that in Me you may have peace. In the world you have tribulation, but take courage; I have overcome the world." The Bible does not guarantee a life free from problems. What is does guarantee is that believers now have peace with God which is the single most important thing any person needs. It declares that believers are now righteous in the eyes of our Holy Father, not because of anything we did but because of what Jesus did for us. What Jesus does offer us is a steadfast peace no matter what our circumstances may be. To walk in this peace, you must walk in the spirit as the Bible instructs. To walk in the spirit you must realize in your heart how much God really loves you, His abounding grace for you and who you are in Christ. If you literally soak yourself in God's unconditional love and grace for you, you will walk above the storms in your life. You will have a new confidence, knowing that the one thing that matters most has been settled, your standing before God. Walking in the spirit will lead you to sin less and to leave behind, worry, fear, bad habits and addictions. You will feel a joy that you thought could never be found in your life. Start with the Focus on God's Love for You resources above. Here are two 30 minute sermons that go deeper into the story of the prodigal son and exactly what this parable says about God's love for you. We highly recommend them. While we believe this is all of the parable that you need to hear right now, there is also a bit more to the parable in Luke. You can read the full parable HERE. Welcome to the family of God. This is not the end but the beginning. Now that you have been justified, declared righteous before God by your faith in Jesus, your exciting journey has just begun. You have crossed over from death to life. Now to grow in your new faith and experience all that God wants you to have. Make time to read the Bible (God's love letter to you) and take time for God, renewing your mind. Get involved with some other true believers.